Check out all the flagship products of the slimming category! 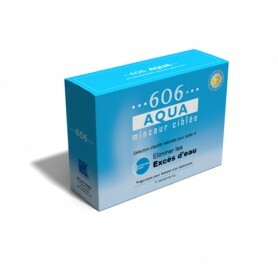 606 AQUA “Draining” : Helps to correct the silhouette, takes in charge the cellulite, by draining the water which compresses the adipose tissues. Helps to correct the silhouette, takes in charge the cellulite, by draining the water which compresses the adipose tissues. A box of 6 sachets. Liquid mixture of extracts from: green tea leaf 50 mg, Couch Grass rhizome 50 mg, Dandelion root 50 mg. Soluble tea 25 mg. Grapefruit flavour. Preservatives 0.2%: sodium benzoate (E211), potassium sorbate (E202). Acidifier: monohydrate citric acid . Food coulouring agent: caramel (E150). Green clay montmorillonite 450 mg. Chicory extract rich in inulin (titrated to 70%) 50 mg. Ferments: Lactobacillus acidophilus (15 billion / g) 13.4 mg, Bifidobacterium bifidus (15 billion / g) 6.7 mg, Lactobacillus rhamnosus (200 billion / g) 1 mg. Hard capsule: fish gelatin. 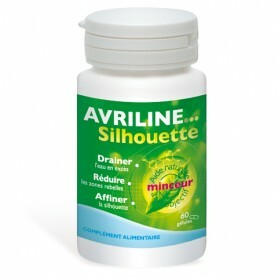 The online shop Activpharma.com specializes in food supplements, dietary products and cosmetics of natural origin.